(Left) Year 1964. 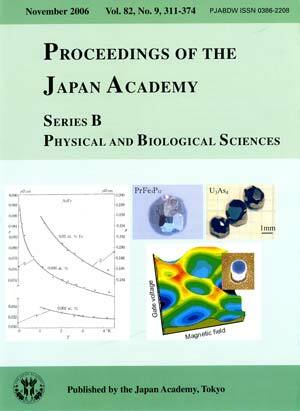 The first theoretical explanation of the resistance-minimum phenomena of dilute alloys by Jun Kondo, taken from Prog. Theor. Phys. 32 (1964) 37. 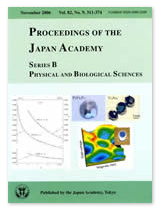 The observed resistance increases with the decrease of temperature in AuFe alloys with various small concentrations of Fe were well accounted for by Kondo’s theoretical curves. (Right-Upper) Year 2005. Single crystals of PrFe4P12 and U3As4, so called dense Kondo systems, in which the Ruderman–Kittel–Kasuya–Yosida (RKKY) interaction and the Kondo effect compete with each other. The RKKY interaction enhances the long–range magnetic order, while the Kondo effect quenches the magnetic moment of the localized 4f-electron by the spin polarization of the conduction electrons, which leads to the heavy fermion state with an extremely large effective mass. By courtesy of Professor Y. Onuki of Osaka University. (Right-Lower) Year 2004. So called “Kondo honeycomb”. Magnetic evolution of conductance peaks or Coulomb peaks measured for a semiconductor vertical quantum dot (shown on the right). The neighboring high conductance lines in red or yellow, which extend along the magnetic field, are usually separated by a Coulomb gap or zero-conductance gap in blue or dark blue. The Coulomb gap is lifted by the Kondo effect when degeneracy of two different spin states is induced by the magnetic field, resulting in a honeycomb pattern of high-conductance. By courtesy of Professor S. Tarucha of the University of Tokyo. Figures and Photos with captions were coordinated by Toshimitsu Yamazaki, Member of the Japan Academy.